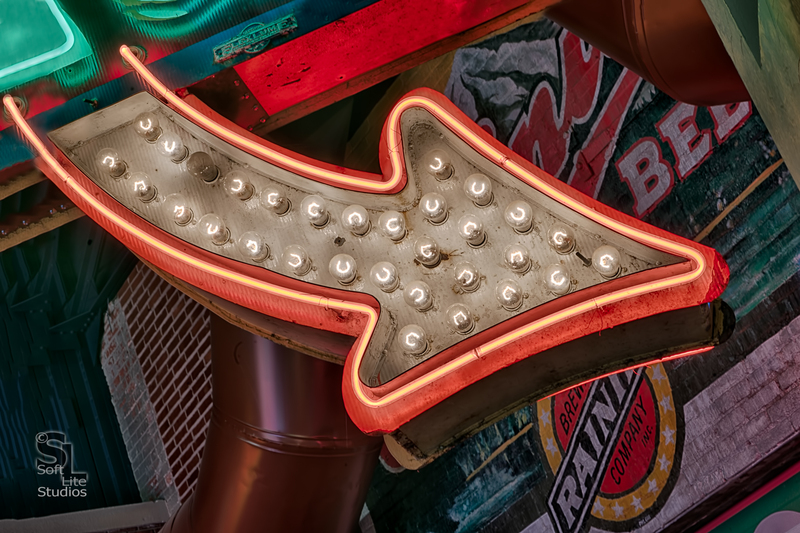 The American Sign Museum in Cincinnati OH offers a huge range of sign methodologies and operating examples, coupled with an excellent retrospective on the history of commercial signage. In this shot I was more interested in the shape and lines in the arrow itself than I was in the sign as a whole, leading me to compose my frame as you see in the result. The resulting image is the product of a 3 image HDR set, processed in NIK HDR Efex Pro 2. The shutter speed listed above represents the middle exposure in the set.